Since I am taking a bit of a holiday, I thought I would dig into the archives and pull out one of my favorite images from a few years back. Why is it a favorite? I have no idea. I just always liked it. 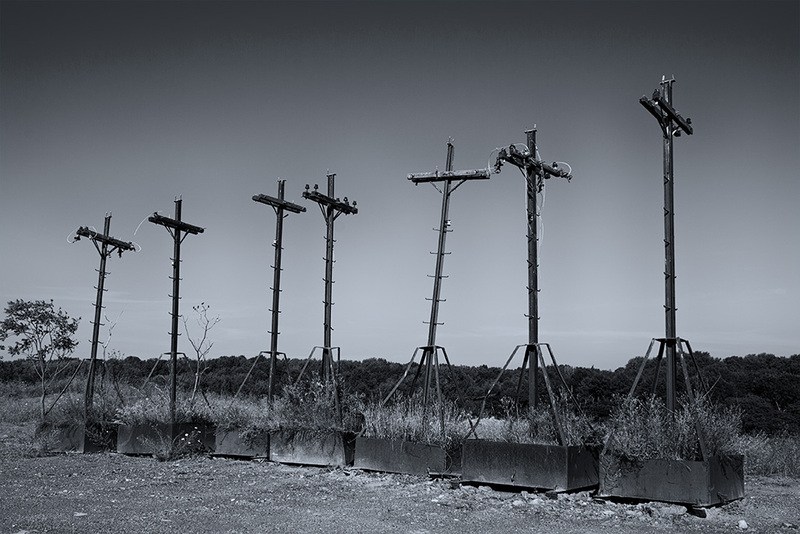 It was taken near an old quarry and I guess these are temporary power poles. Like most of my work, just some things I find that I think are unique and want to photograph. Doesn’t get any simpler than that.